'MLM' The American Dream Made Nightmare: The remaining 'Aum' fugitive has been arrested. After a man-hunt lasting 17 years, Japanese police have finally arrested Katsuya Takahashi, the only remaining fugitive of the 'Aum Shinrikyo' mob. 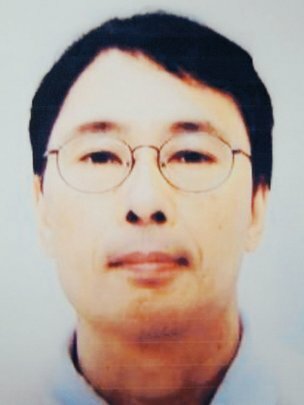 He is suspected of driving an accomplice to a Tokyo metro station in March 1995, in order to release Sarin nerve gas during the morning rush hour. In total, 13 people were killed and more than 5000 injured. Another long-time'Aum' fugitive, Makoto Hirata, gave himself up at the end of last year, whilst Naoko Kikuchi, was arrested two weeks ago. She directed police to the town of Kawasaki where Mr Takahashi has worked for a construction company under a false name. He had already absconded, but the police found a recent photograph of him in his room. 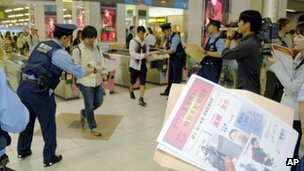 The photograph was circulated along with CCTV images of Takahashi and, within a week, he was detained after a call from a member of the public. To date, one hundred and eighty-nine 'Aum Shinrikyo' adherents have been convicted in connection with the Sarin attacks and other crimes. Thirteen are awaiting execution. Elementary common-sense reveals that 'Aum Shinrikyo (Aum Supreme Truth)' was nothing more than the made-up name for the deluded dream of a megalomanical psychopath and homicidal racketeer, but which he was allowed to turn into nightmare reality. The shameful role which various co-opted 'scholars of religion' played by refusing to challenge the authenticity of the 'Aum' fairytale and attempting to obstruct a rigorous criminal investigation of its author, should never be forgotten.